If you are pulled over while operating a motor vehicle in the state of Arizona, you should consider the strategy of saying nothing. After all, if you do not open your mouth to speak, it makes it more challenging for the police officer to gauge your sobriety. Everything you say during a traffic stop can be used against you in a court of law. The question most Arizonans have is whether it is legal and prudent to say nothing during a traffic stop. When in doubt, it is best to say as little as possible during your traffic stop. If you are afraid of self-incrimination during interactions with a police officer, simply state you would like to speak with your attorney. If the police officer continues to push the issue, repeat that you would like to speak with your attorney. Otherwise, you run the risk of making a statement that will jeopardize your case. Even stating you had a drink hours ago can hike the chances of a DUI conviction. When an Arizona Highway Patrol officer pulls you over under the suspicion of driving under the influence (DUI), you are being investigated for criminal activity. The police officer pulled you over as he or she believed you are operating a motor vehicle under the influence of drugs or alcohol. Even a minor verbal misstep has the potential to ruin your case and make everyday living that much more difficult. Aside from the embarrassment of a DUI conviction and fines, you will also lose your driver’s license. Relying on friends and family for rides around town as an adult is no way to live life. This is precisely why you should exercise your right to remain silent during traffic stops. 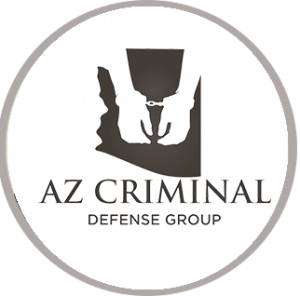 Let our Arizona DUI attorneys do the talking on your behalf to maximize the chances of the charge being reduced or completely dropped. Above all, the main reason to exercise your right to remain silent during a traffic stop is the potential for self-incrimination. The Constitution’s Fifth Amendment gives every Arizonan and every United States citizen the right to remain silent when approached by police to prevent self-incrimination. As soon as you start talking to the police officer, you run the risk of making a statement that can be used against you in a court of law. In fact, a verbal misstep can trigger an immediate arrest. Do not take the risk of assuming your statements will not prove incriminating. Even the slightest detail has the potential to come back to haunt you when the matter goes to court. In some situations, the law enforcement officer mishears or misunderstands verbal statements. Though you might not lie often, you will be tempted to stretch the truth when interacting with a police officer during a traffic stop. If it is determined you lied to the police officer after being pulled over, you will have minimal, if any, credibility. The lack of credibility makes it that much easier to convict you of DUI or another charge. Though you might have the gift of gab and won your high school debate competition, you will not be able to talk your way out of an arrest. This is precisely why you should not speak to the police officer at length during the traffic stop. 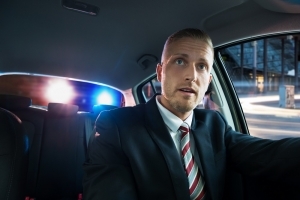 The bottom line is the police officer has reason to believe you are operating a motor vehicle under the influence or that you broke another law. The moral of this story is the more you talk, the easier it becomes to prove your supposed guilt. Click here for information on the MLB player arrested for DUI in Arizona.